Congress Jewelers on Sanibel Island is set to host Bez Ambar on Feb. 12-13, 2018. Ambar is most notable known as the diamond cutter that invented the princess cut diamond. Yvel, Nanis and DeHago jewelers will also be in town for the event, which centers itself around the Valentine's Day holiday. Guests will enjoy light hors d'oeuvres while browsing the collections. 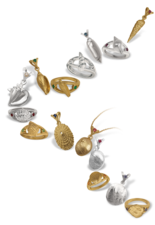 Yvel is known for its rare organic pearls, Nanis for its contemporary gold jewelry, and DeHago for diamonds and a classic palette of rubies, sapphires, and emeralds, mounted in either gold or platinum. This is just one of many special events the jeweler is hosting in the near future. Syna, Mark Henry and DeHago jewelers were all in town Dec. 14-15 for a holiday celebration of unique and exciting design. Guests enjoyed champagne while viewing the glistening collections. Congress added special deals into the mix, just in time for the holiday season. On March 16-17, Congress will host its Spring Designer Show, which features Lika Behar from Turkey, I. Riess, Syna, Eli Jewels and A. Link. According to the Congress website, acclaimed designer, Lika Behar, creates unique and intimate works of wearable art inspired by ancient civilizations and the Mediterranean. Congress Jewelers is a third-generation business, located at Periwinkle Place on Sanibel Island. Currently owned and managed by Scot Congress and his wife, Melissa, the business moved to Sanibel in the early 1980s and started by molding seashells so they could create perfect replicas by hand casting them in 14-karat gold and sterling silver. Congress' grandfather and parents were both in the fine jewelry business dating back to just after World War II. Today, the business has the largest selection of “Sealife” jewelry in the region. There are more than 1,100 different SKU’s still handmade on Sanibel today, and on display in the store. 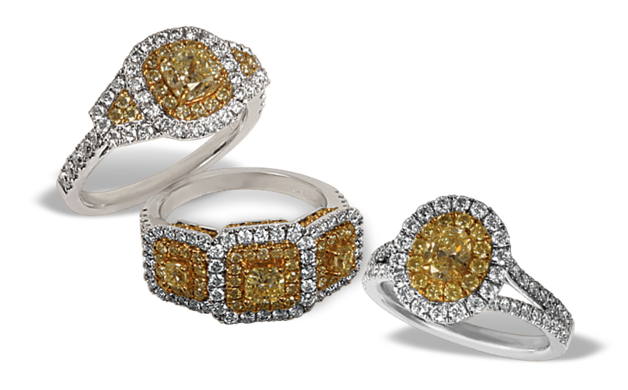 The staff is also trained as gemologists and offers a large selection of diamonds, fine colored gemstones, and Italian gold by Roberto Coin. The full-service jeweler also offers appraisal services, repair services, jewelry restoration, watch repair on Rolex, Estate jewelry and custom design. One of the proudest features of the business is its overall experience in the industry. "We have 13 employees that have been with us from 12-25 years!" Congress said. "That’s experience!" Luckily, the business was not heavily impacted by Hurricane Irma in September. It was closed for a mere eight days, which Congress says is now "a faint memory!" Most recently, Congress has come out with two new lines of jewelry, adding rings to its Birthshell line, and expanding the Sealife line to include enamel. "We now offer 'lifelike' coloration of the shell jewelry," Congress said. "The enamel is baked on over 14-karat, yellow gold for a lifetime of wear and looks beautiful." They also acquired a selection of original Atocha coins (pictured above). All the coins are of the Grade 1 category, Congress said, and have been framed in 14-karat, yellow gold. Each comes with a certificate of authenticity signed by the famous Mel Fisher. Congress' personal favorite item at the store is the natural, yellow diamond, which he said are "spectacular in any light and complex, yet very simple; rays of sunshine." Most of all; however, Congress favorite aspect of the business is the people. "I love meeting the clients personally everyday," he said. "Everyone has a story on how they discovered our Islands – truly amazing to hear."